Violinist commissioned presenter to arrange his composition for her after she heard it on Classic FM. She performed it for the first time at the Hertfordshire Festival of Music. 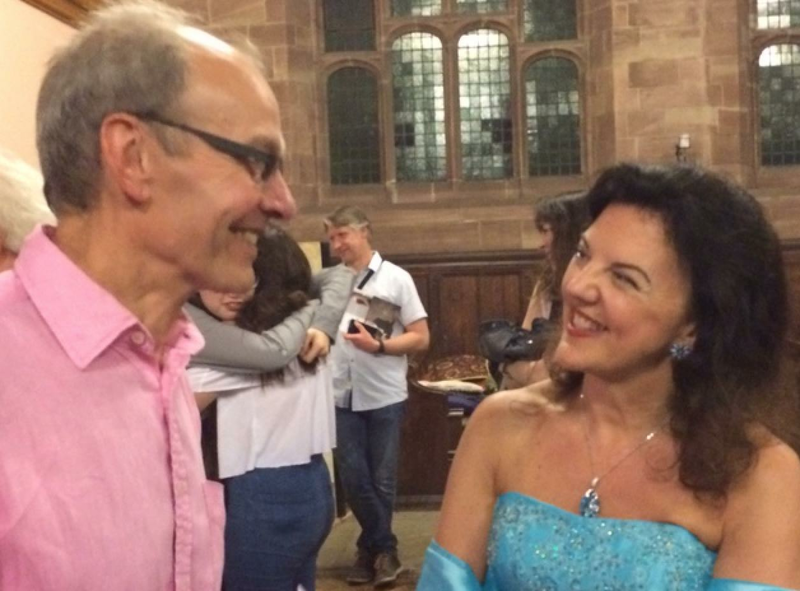 Back in December, Tasmin Little was travelling home from the Lake District listening to Classic FM when she heard John Brunning's guitar piece Sahara. The work was inspired by a charity desert trek that John did for Classic FM, four years ago. Tasmin immediately fell in love with the piece and made contact with John via Facebook to see if he would consider arranging it for violin and piano. "It would never have struck me as a piece that would work for violin," said John, "so I was very interested to have a go at arranging it." The first performance of the piece was given by Tasmin with pianist John Lenehan in a recital on Saturday 11 June, which opened this year's Hertfordshire Festival of Music. "It was very exhilarating and exciting, and went down very well," John said after the performance. "It was evident that Tasmin put a lot of work into the piece to make it sound suitably violinistic." John is currently concentrating on composing some choral works. "But I'd like to write something else for Tasmin in the future," he said.